We ended Rd.3 at Oulton Park on a positive note as we made big strides in improving the bikes handling to work with me, leaving me keen to get to Donington to carry on building on the setup. 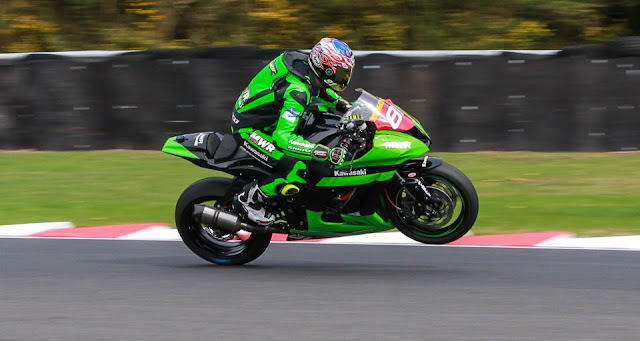 It was also a special event as we would be the support race to the World Super Bike championship, putting us in the paddock we're aiming to be in full time - the World Championship! Fortunately Donington Park is theoretically my home track now, I just need to learn it well enough to be able to properly call it my home round. It's nice and close so Thursday I headed down the road with my caravan and got set up for the weekend. I then met up with the team and had an ogle at the giants of the world championship paddock - Italian hospitality trucks! Ducati must spend more on their hospitality truck, which unfolds into what looks like an ultra modern permanent building housing multiple Ducatis and artwork in a 5 star restaurant... Equalling them are teams like BMW, Aprillia and the other factory outfits. Very, very cool! The rain came down on Thursday night, and did not relent for Friday, seeing us set out on track in honestly the worst conditions I've ever ridden or even driven in! Wind gusts of 47mph (65kmh), 4deg temp, pouring rain and occasional hail! Our wet weather setup was still good for 6th place on the time sheets, which we were very pleased with. The day ended well with us deciding to sit out qualifying 1 as it would not count if Saturday's qualifying 2 is dry, which was forecasted 100% dry and sunny. We made the decision to sit it out as did most teams. Saturday was the stark opposite of Friday as predicted. Short and t-shirts all the way! This unfolded into a near perfect race weekend, weather wise. We got out for a dry qualifying, but as usual, had to guess a setup as we had no practice in the dry before then. Our gearing was way out and I just used what I could of hte motors immense power to get us round the track as fast as possible. It was going the best it has all year, with us sitting inside the top 15 comfortably in the first 20mins. 10mins to go, and everybody came in for new tyres to bang out a fast lap, we dropped to 26th, still a lot better than we have been doing. I came in, Scott whipped a new tyre in for me in no time, and I pulled back on track to get a flying lap in. Our first lap out got us up to 20th, I then put my head down to get us a fast one with my bike working well as I want it to. 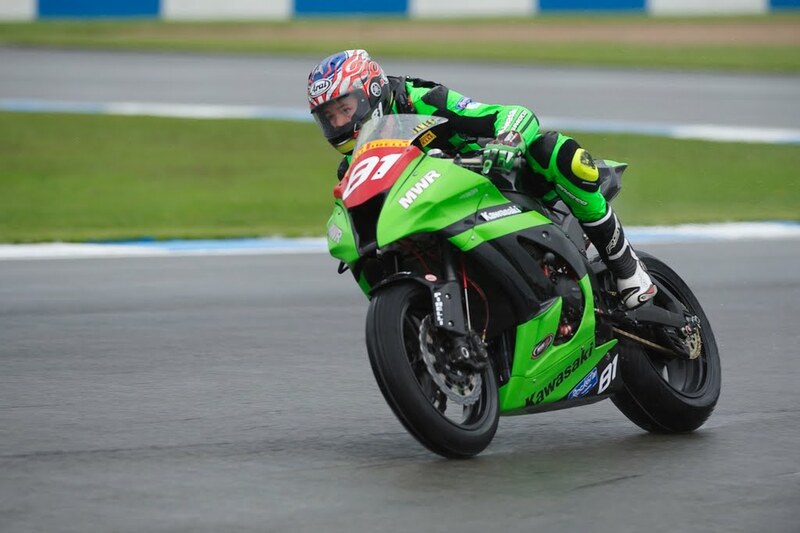 We were on for a good lap, top 15 through all the sectors of the track, and even 3rd fastest through the Foggy Esses! 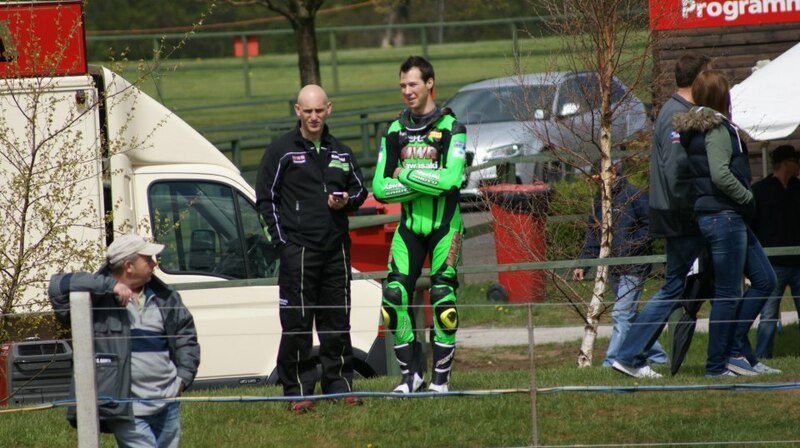 Our predicted position was 12th by the time I reached the second last corner, where I came up to a slower rider. I pulled up next to him on the brakes into the hair pin, he turned tighter, seeming to block me for some reason, and I had to go really tight on the way in to avoid him. I got past, but was very off line, I got it to the apex, cracked the throttle, and just asked too much of the back tyre on that bad line. 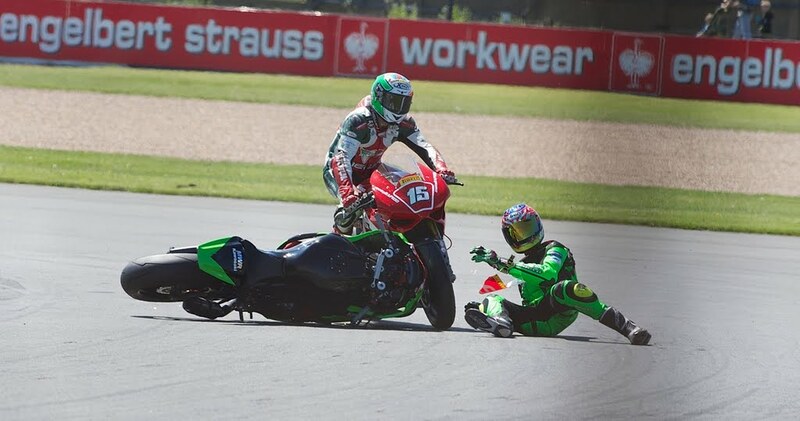 the bike let go mid corner and I went sliding along kissing my fast lap good bye, and nearly getting an Italian Pirelli in my face! (See photo) We ended up with 22nd place, still a big improvement over the previous race's 31st place! I felt good for Sunday's race as our setup is coming along nicely now. We had morning warm up to try a few new settings which worked well and we then got ready for our race. 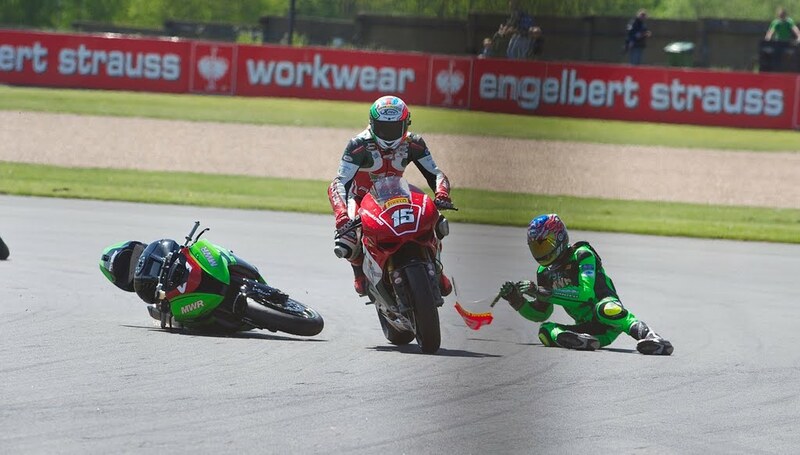 I pulled up to the lights, with Hudson Kennaugh just a row infront of me, and I knew he would be fast off the line, so set my sights firmly on his back tyre. The lights went out, and we had a great first corner, which saw me gain a few places, by the first two laps the bike felt good and I pushed hard to keep up with Hudson as we made our up through the field. We managed to get into 12th place, such a great feeling after how hard we've been working! It was great to be sitting in the top 15, but as the tyre wore out, I ran into a few suspension problems, but nothing as big as we've previously been having. 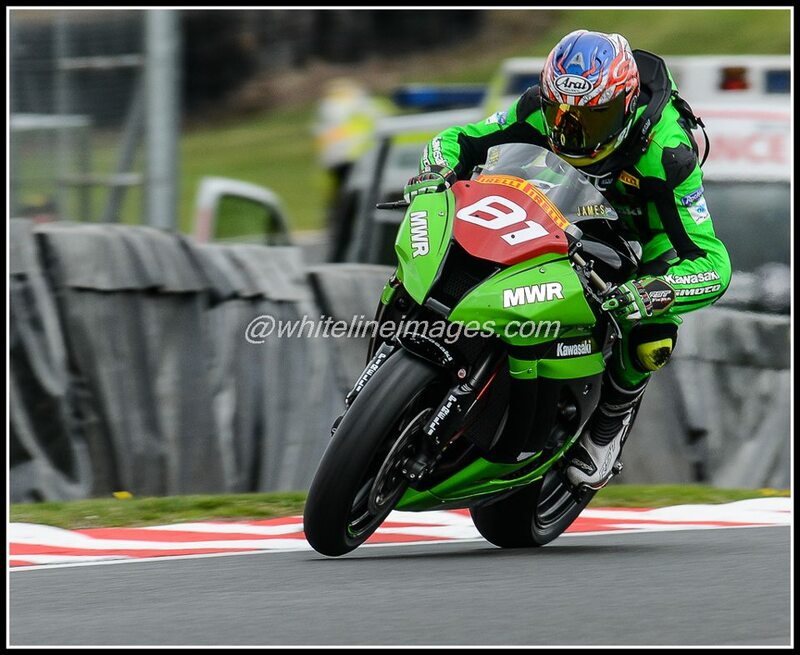 I dropped back slowly and sat in 16th on the final lap, having a good little fight with Josh Elliot (former World Super Stock 600 rider). 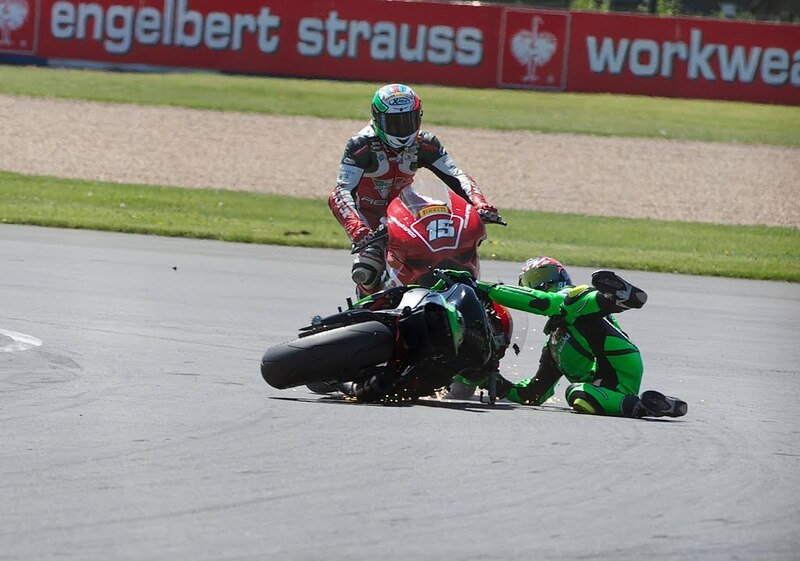 We passed eachother forwards and backwards, I got infront approaching the last corner, he made a lunge up my inside and I managed to just hold him and defend my line. I got on the throttle and the tyre let go giving a small highside out the seat, just enough for him to pip me by 0.02s over the finish line! We had 17th and our best result so far, ever improving! The team were very happy with our performance now knocking on the door of the points and keeping our development going nicely. I'm really happy with the momentum we're carrying now, as the team is really working hard with me to get me happy with the bike. Unfortunately Donna and the girls couldn't join us over the weekend, but Jay made it out for our Friday practice before they set off on Saturday for Disney World in Florida, USA! They're over there right now and I'm sure having an absolute blast! Enjoy Davis'! Thanks to our whole team for a great weekend improving yet again. Mark and all the guys making sure my bike is as good as it can be, Paula and the girls for keeping our tummy's full, Les Wood for the advice on track, and to everybody behind us giving us the great support we always need (Yes, looking at you Eeves),and our great sponsors Mom & Dad, Rocket88, Leatt Brace, RST, Arai, Clayton from SA Racers and Forcefield Body Armour. 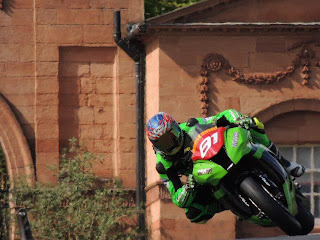 It's Isle of Man TT week coming up, I'll be watching from home now as we have some more prep work to do before we go to a circuit I've never seen before, so have lots to learn about - Knockhill in Scotland. Hold thumbs for us and we'll do our best as usual! Oulton Park Rd.3 - Seeing Progress! 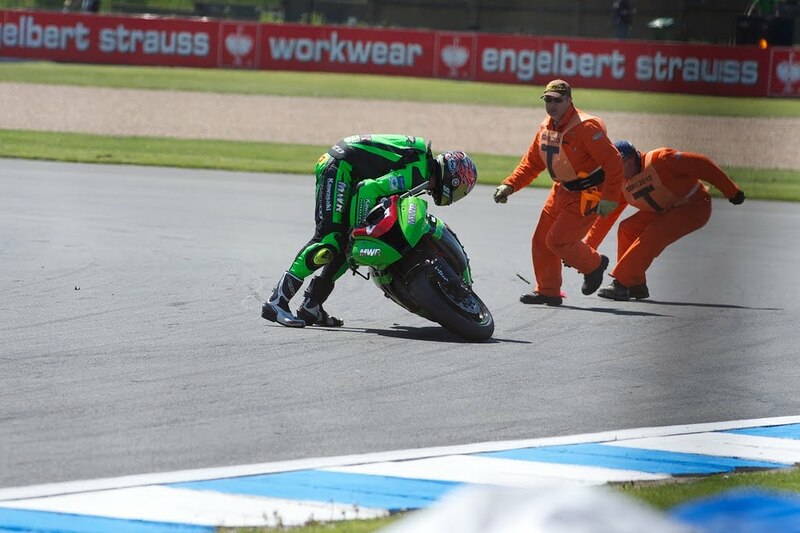 We've had a really tough past few weeks trying to find settings for the bike which work at the fast lap times. We made really good progress this weekend and it's such a refreshing breath of air after all the hard work we've been putting in. It turned into beautiful sunny, successful weekend for us, qualifying on Sunday and racing on public holiday Monday for a change! 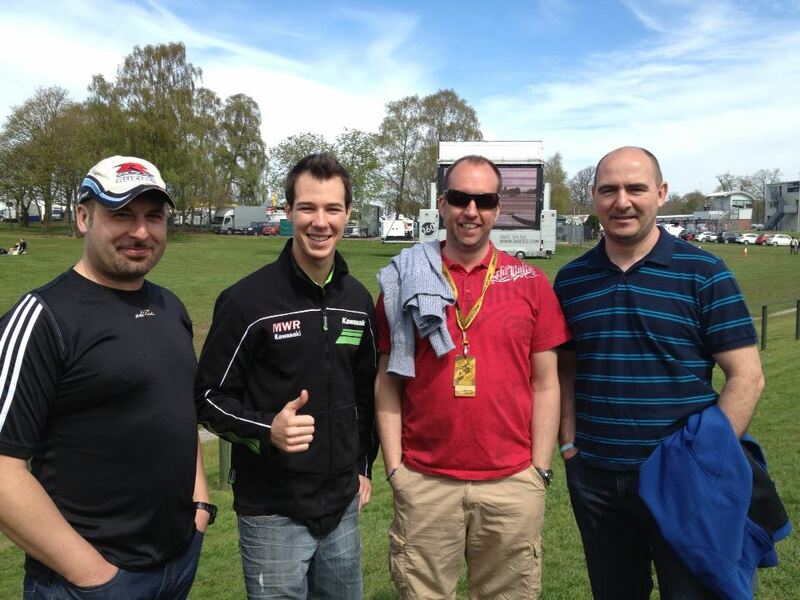 We arrived on Friday afternoon, set up camp and met up with the team to talk strategy for the weekend. This long weekend was the first forecast dry weekend we've had so far, but in true English fashion, it still rained, seeing us opt to sit out Free Practice after 10 riders crashed out of the session before ours. Fortunately we had tested last week so the wet riding was not essential for us. We set out for a dry first qualifying session on Saturday afternoon, getting some quick times in and making some small changes for qualifying 2 on Sunday. We then set out for a track walk with the Oulton wizard - Jason, to talk me though some problems I was having on track. As we made our way round, the crowds already in the public camping areas astounded me. 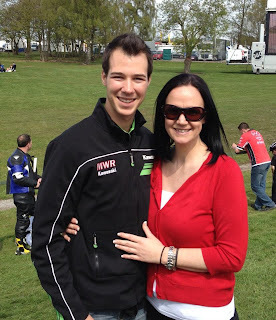 The weather was forecast to be great for race day, and it showed in the spectator attendance already! I settled in for the night after noting all the changes I needed in my riding and got a good nights sleep for qualifying 2 the next day. We had a rough base setup from yesterday, getting the bike more comfortable to ride, but not fast enough. We went into qualifying on Sunday with a much better bike than we had at the previous rounds. Unfortunately as the nature of the championship goes, so did everyone else! Even though we only managed 31st place out of nearly 60 riders, after some changes between the two qualifying sessions, I got the bike feeling much more stable and ridable for me, which is the base setting we've been searching so hard for! This comfortable setting now allowed me to push the bike harder and in more control than before, so in going faster we exposed more problems as the lap times came down. Jason and Dan (My crew chief) sat with me to troubleshoot the bike as much as possible on Sunday night before the race - this brought up the need for a few changes that we haven't tried yet, but we went for the risk as our hours of speculation pointed us towards it! We then settled back into the pit as Jason and Donna brought out the good smell of a team braai (Barbeque for the British/Aussies...) to relax for a some well deserved braai meat and beers for the guys. Monday morning we made the changes before morning warm-up and straight away the bike felt better, more stable and capable of going even faster - just what we needed! Then Monday afternoon came upon us and as we rolled onto the start line, I could finally approach the race with the confidence in my bike I've been wanting. 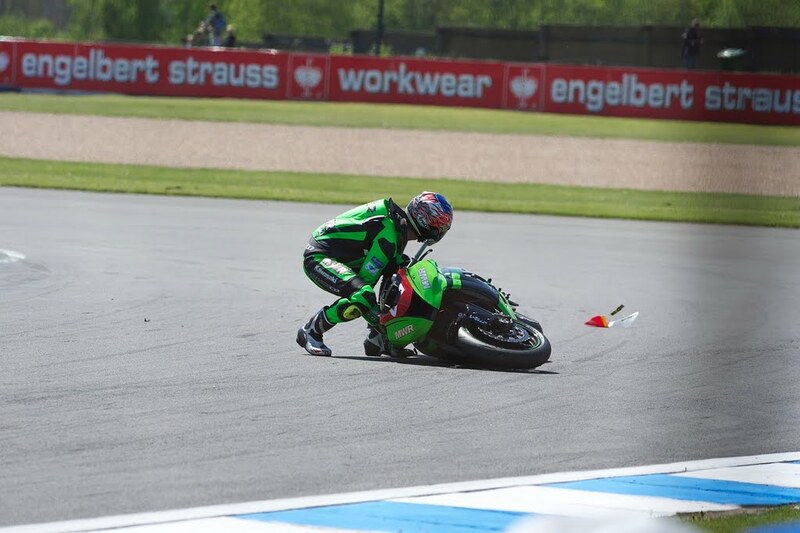 The lights went out and I managed to get the bike off the line nice and fast, jumping up a few spots before turn 1, then doing the normal 'hold your breath and let the brakes off early' into turn 1, fortunately making it through clean! A few laps in and the changes we made were paying off as I was lapping faster than my qualifying time while in the mix of riders and making passes. Our lap times came better and better until I ran into some rear end grip problems earlier than anticipated, as we suspected might happen with our changes we made. We managed to get onto the back of the pack behind the leaders, the closest we've been so far, and bring the bike home in 23rd place. Not the best sounding result, but 10th place was in my sights as I got onto the back of the pack which held 22nd place to 10th place, and our lap times were good enough to be in that pack comfortably now, and were only just over 1sec off the leaders. MASSIVE progress for us since the previous rounds! I arrived in parc ferme to a smiling team, seeing our hard work starting to show on track now. Everyone was very happy with how our race had gone! 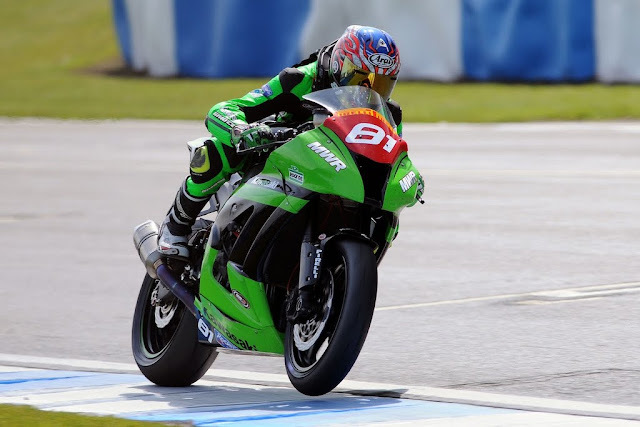 We had consistently gone around 1sec faster everytime the bike got on track, and we were within sight of the front times. This whole weekend has been very productive for us, finding things that work for me and the bike as a pair and I'm very pleased with what we come away from the weekend with. The whole feeling in our pit is much more positive now that we're getting somewhere with the bike setup. Mark and the team have been really great with giving me what Jason, Dan and I ask for to get the job done and I feel we are well on our way now. 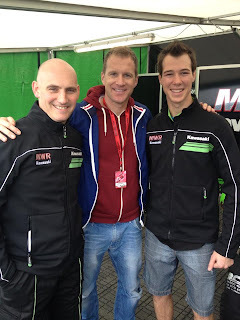 A huge thank you to Mark and our whole MWR Kawasaki team for all the work they've put into me so far, I really appreciate it and feel like we're starting to make good use of it now. Jason Davis, my mentor, and Dan Edlin, my crew chief, have worked no end with me on set up and I'm really happy with how we're going about things. To Scotty, Taka and Mark Linton for spannering faultlessly when needed and to Paula, Benice, Mick and Tina for making sure we're all well fed over the race weekend! Of course, no progress could be made without our sponsors who make it all happen - Mark, Mom and Dad, Rocket 88 and Leatt Brace for the great support, Jonny and the Moto Direct team for my protective kit, Stuart from Forcefield Body Armour and Clayton Francois. Without you we would just be watching the racing! I'm home in Nottingham now, had a day off of pigging out on pizza and chips, and now I'm itching to get to Donington Park for the next round, which we will see us race with the World Superbikes as the support race, which I'm really looking forward to!